We recently attended the official launch of the Yamaha R15 new 2011 model Version 2.0 in India. The new Yamaha R15 is the improver version of the earlier Yamaha R15 model which was launched in year 2008 in India. We have done a detailed comparison of the changes between Yamaha R15 Version 2.0 New Model and Old R15. On this occasion we got a chance Interact with Roy Kurian, National Business Head of Sales, Yamaha Motors India. In our exclusive Interaction with Roy, National Business Head of Sales, Yamaha Motors India, we learned that Yamaha India will be displaying something very relevant related to the gearless scooter which Yamaha India plans to launch in India in the calendar year 2012. Roy did not disclose whether the display at the Auto Expo 2012 will be a prototype or a concept vehicle, but we expect that a prototype maybe displayed at the Auto Expo. As per Roy, the gearless scooter to be launched in India has been designed by Yamaha Japan R&D but will be highly indigenous in terms of part sourcing. The Indian gearless scooter by Yamaha will be highly localized to keep it cost competitive. As per Roy, the launch will take place in the calendar year 2012. The design phase is already complete and the development phase is in process. 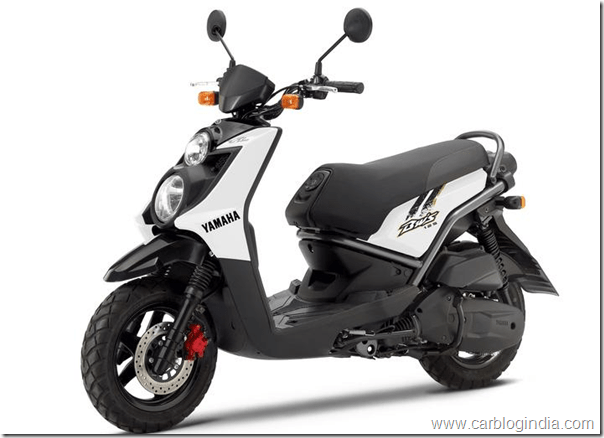 We expected that Yamaha will bring a tough competition to Honda Activa, TVS Wego, Suzuki Access and upcoming Vespa LX 125. As of now, almost all of the Yamaha two wheelers in India are known for premium quality, fir and finish and are very popular with Indian youth.